Trainee clinical psychologist, Colette Kon, who has three teenage children, will be among 100 UK women to cycle from the foothills of Kilimanjaro to the Ngorongoro Crater in October in temperatures up to 30 degrees. 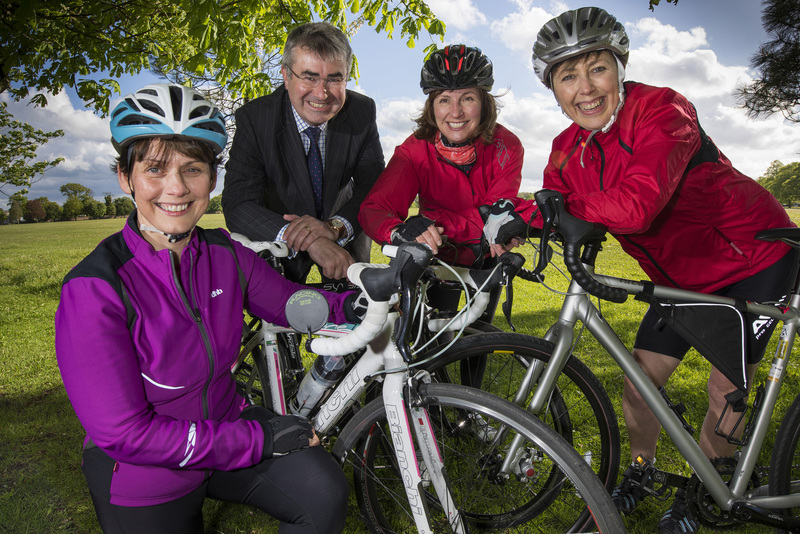 Colette, who will cycle with two Harrogate friends, Trudy Lennon and Sylvia Scullion, aims to raise £1,700 by August to support three cancer charities: Breast Cancer Care, Jo´s Cervical Cancer Trust and Ovarian Cancer Action. Newtons Solicitors is donating £500 to the three to support funding raising and towards sponsorship for the ride. A further £800 was raised by Colette with a fund raising race night at Pannal Village Hall on May 16. The African trip will involve cycling on roads and rough tracks and sleeping on the road side in tents or small lodges en route and Colette, who had not been on a bicycle since she cycled to school as a pupil, before signing up to the challenge, is mid way through her preparation. She is training on a road bike but will make the trip, where she is paying all her own costs so every penny raised goes to the three charities, on a mountain bike. Colette says: “Since Christmas I have been out cycling every week in all weathers, supported by an amazing group of friends who have bought bikes and are training with me even though they are not going to Africa. We are now up to 44-mile rides. “I have also signed up to the London to Brighton bike ride on 21 June. My training programme also includes a six-mile run twice a week. “My husband, Mark, does all he can to support me. He looks after my bike and has meals ready when I come back after a long ride. I have had a number of close friends and family affected by cancer and I’m doing this in their memory. People wishing to support Colette can go to her page on the Just Giving website.